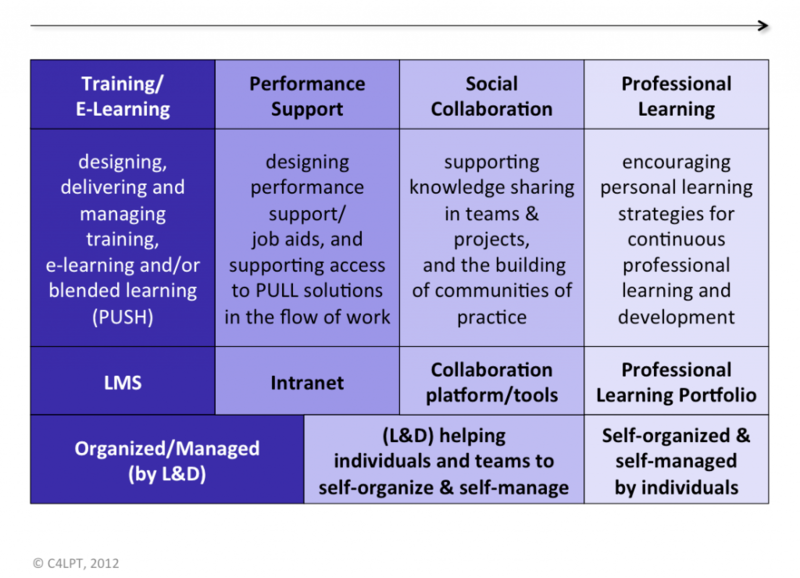 I’ve been talking to a number of organizations about how they might move from thinking the L&D role is just about organizing and managing everything their people need to learn, towards one of supporting self-organized individuals and teams to even encouraging autonomous, self-organized professional learning. I’ve been using this diagram below to demonstrate what it might look like to move towards this approach. How does your organization view the L&D role? Is it just about delivering training, or is it now becoming as much about supporting individuals to self-organize and self-manage?